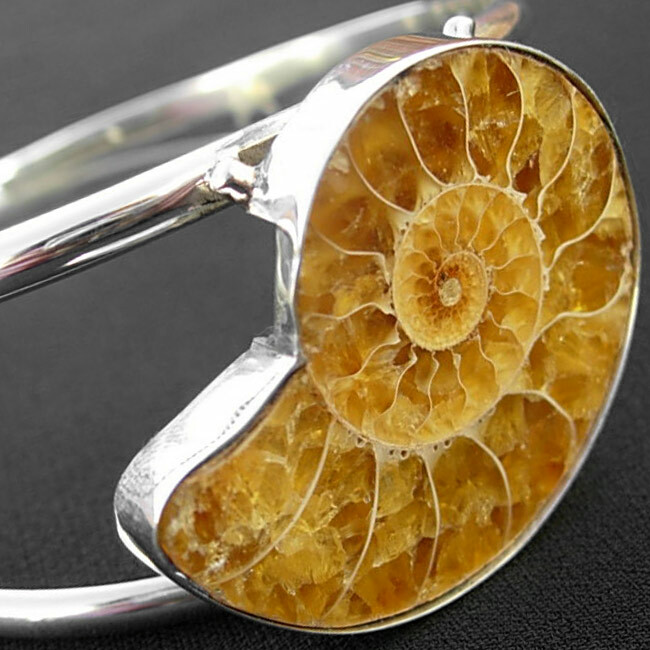 This beautiful piece was commissioned using a large fossil. Availability: Out of stock Size: N/A Categories: All Jewellery, Bangles, Commissions. Tags: bangle, bespoke, commission, commissions, fossil, handmade, jewellers, jewellery, liverpool, LWSilver, north west, silver, silversmith, unique, wedding rings, wirral. 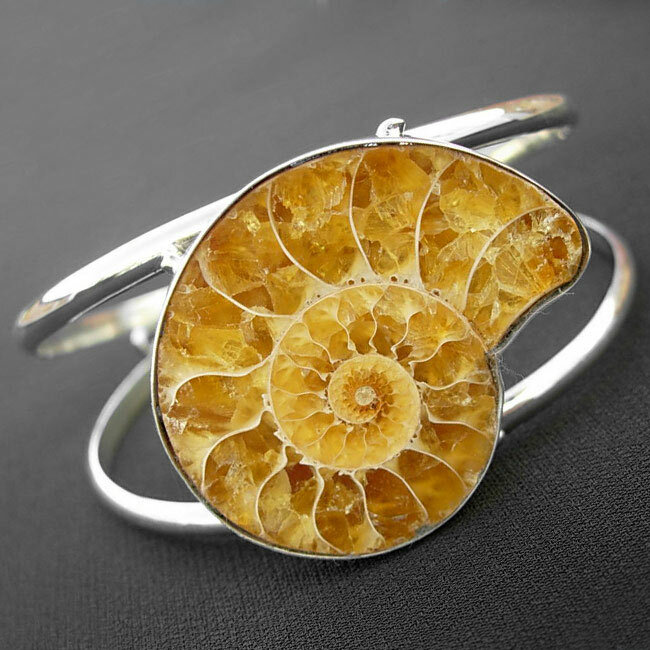 This beautiful Fossil Bangle was commissioned using the clients fossil. Materials: 925 sterling silver/Amber gemstone. I am so pleased with this unique piece of jewellery. 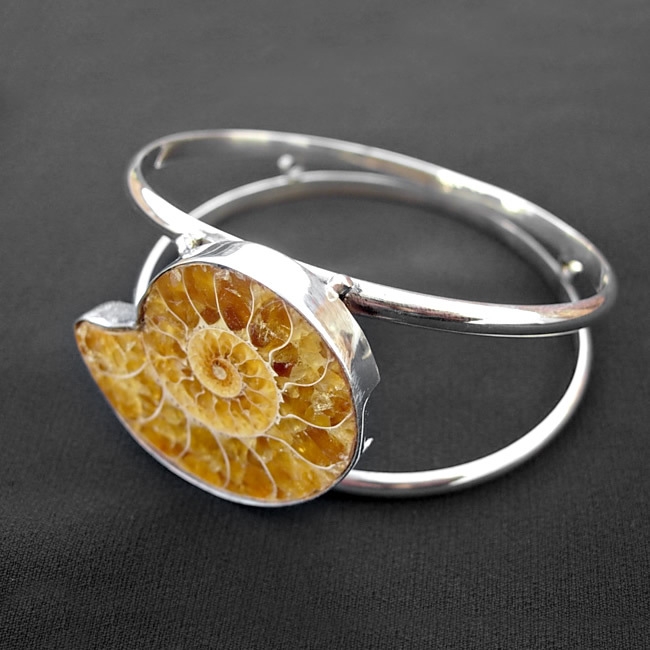 Lwsilver made what was a splendid fossil into a magnificent bangle. I adore it and Wear it all the time.